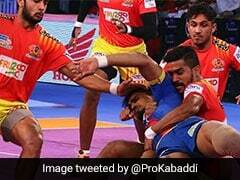 Up and coming raider Siddharth Desai was bought by Telugu Titans for the highest winning bid of Rs 1.45 crore on day one of the season 7 players' auctionof the Pro Kabaddi League (PKL) in Mumbai on Monday. 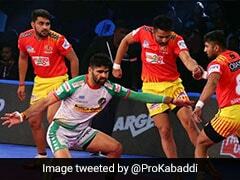 The attacker from Sangli in Maharashtra had earned plaudits by his stellar show in season 6 of the PKL held last year. However, the winning bid for Desai was still Rs 6 lakh below the record League price paid for Bhiwani's Monu Goyat by Haryana Steelers at season 6 auction last year. In other notable buys, star raider Nitin Tomar was retained by Puneri Palton for Rs 1.20 crore, Tamil Thalaivas grabbed the impressive Rahul Chaudhari for Rs 94 lakh and all-rounder Sandeep Narwal was purchased by U Mumba for Rs 89 lakh. Season 7 is to be held from July 19 to October 9,League Commissioner Anupam Goswami told a media conference prior to the start of the auction in the morning.